CRCnetBASE, made up of over 8,000 online books that span over 40 disciplines with a focus on scientific and technical references, will be searchable in the Summon service. In addition to e-books published under the imprint CRC Press, CRCnetBASE includes online references from Auerbach and Chapman & Hall. The CRCnetBASE platform has been adopted by academic and corporate institutions throughout the world. CRC Press functions as the principal science and technology book division of the Taylor & Francis Group, an Informa Company. 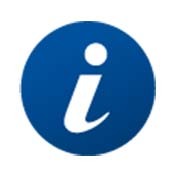 BCS, The Chartered Institute of IT (formerly British Computer Society) will include their entire scholarly proceedings library, known as eWiC, in the Summon service. The eWiC series (Electronic Workshops in Computing) is international in scope and is available from 1995 to present. Each volume is based on the proceedings of a specialist workshop and is designed to provide information that represents a snapshot of current knowledge, debate, or research. SAE International SAE Technical Papers will be full text searchable in the Summon service. SAE Technical Papers are written and peer-reviewed by experts in the automotive, aerospace, and commercial vehicle industries, and comprise most of the popular SAE digital library. SAE International publishes more than 92,000 technical papers on the latest advances in technical research and applied technical engineering information. The Summon service searches across more than 800 million items and provides the most comprehensive coverage of STM content in a single, unified index than any discovery service. Just some of the STM content publishers and sources already indexed in the Summon service include IGI Global, Sage, Springer, Taylor and Francis Group and Wiley-Blackwell. The vast majority of this content is full-text searchable in the Summon service.